4 Beds 4 Baths 3,750 Sq. ft. Description: This home is turn key ready with many upgrades including; gourmet kit w/5-burner stove, side-by-side frig, dual (quick cook) ovens, corian cntrs, center island, 42 cab.W/glass front, tile floors. Fr has 4ft. 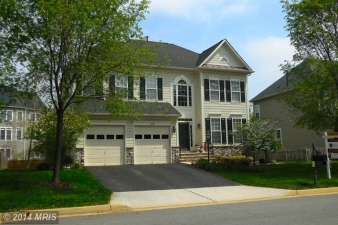 Bump-out, hw floors, gas fp w/granite surround & exit to custom trex deck w/ stairs leading to private fenced backyard. New hvac inside & out unit and new sump pump. In-law suite in llvl. Drastically reduced & priced to sell! Buyers ratify before June 15, 2014 and receive 5k toward closing!